If you've been following the Brexit nightmare, you know what trouble Theresa May's Con Britain is in. 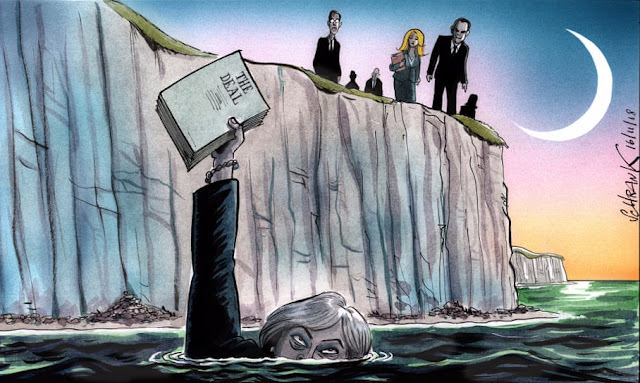 With a new last chance deal, May herself, and the British economy in danger of going under. The Cons fighting themselves, and millions clamouring for a second referendum. But despite all that chaos, all that screaming, and all that despair, Brexit's biggest Canadian supporter and super groupie isn't budging. Andrew Scheer says his support for the Brexit monster remains as strong as ever. Canadian Conservative Leader Andrew Scheer says his support for Britain's departure from the European Union is undiminished, despite the chaos Brexit has sown in British politics. Scheer said his support for Britain's move out of the EU rests not on economics or the practicalities of trade but rather on the principle of sovereignty. "I do believe that the U.K. over the years has given up a tremendous amount of sovereignty," he said in an interview. "The bureaucratic nature of the EU, the different levels of government, the fact that court decisions in the U.K. can be appealed to a higher level of court in Europe, those are all things I don't think Canadians would ever accept for ourselves." Or why he thought that Brexit was ever cool. 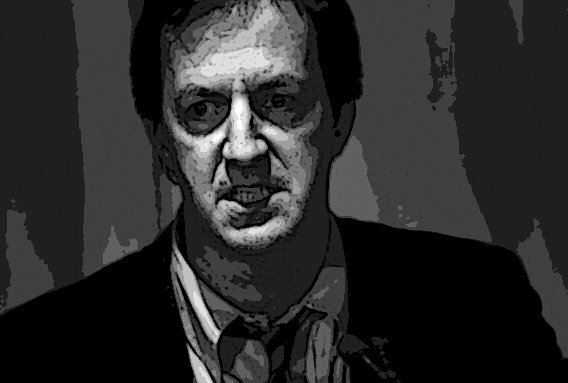 And to make matters even worse, poor old Andrew Coyne is also totally confused. 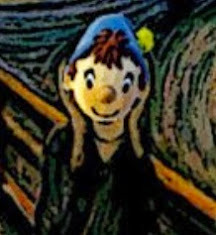 He can't understand what Scheer is doing either. And it's driving him CRAAAAZY. What could have possessed Scheer to endorse this madness? Perhaps he hopes to play to the same populist nationalism that propelled the Brexit vote. Perhaps he is in the grip of the sentimental attachment so many Tories have for Mother Britain. But no Canadian political leader has any business signing on to a project that would tear apart an existing political union — if you catch my drift. Brexit is less a cause than a cautionary tale. When in fact the real reason Scheer is such a fanatical Brexit supporter is right there in black and white, staring Coyne in the face. "The bureaucratic nature of the EU, the different levels of government, the fact that court decisions in the U.K. can be appealed to a higher level of court in Europe, those are all things I don't think Canadians would ever accept for ourselves." He is such a religious fanatic that the reason Scheer wants Britain out of Europe, is to sever its relationship with the European Court of Justice, that among other things guarantees the rights of women and LGBT people. 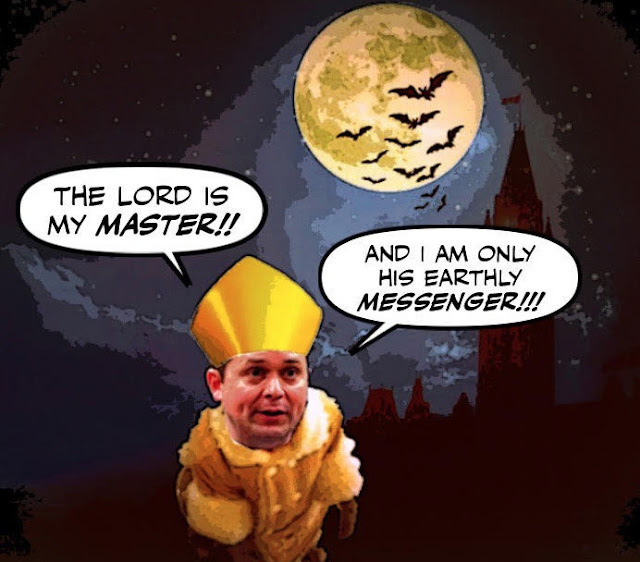 Which for Andrew Scheer as a right-wing Catholic extremist, albeit one with a hidden face, is practically blasphemy. But still our dumb media can't figure it out. Can't believe that the members of the religious right would put their ideology before the economy and the wellbeing of millions of people in Britain. 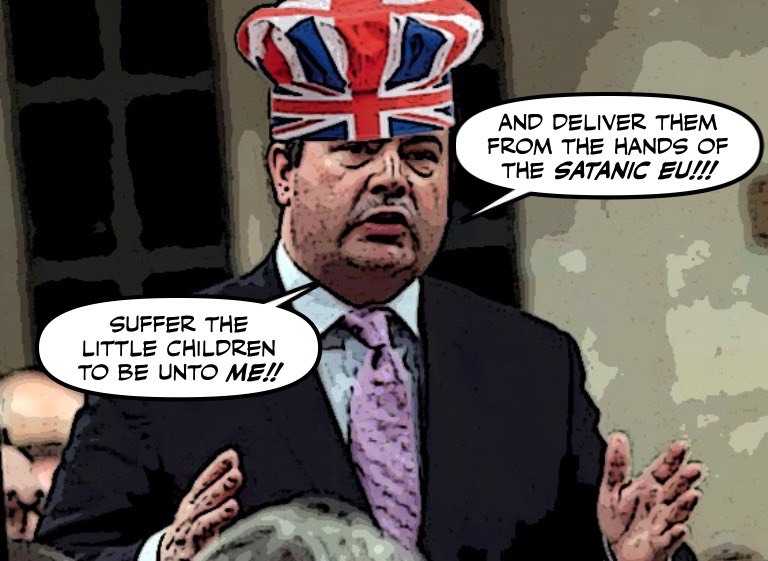 Can't believe that Scheer and Kenney might have a hidden agenda. Can't believe it could happen here. And all I can say is, what I've said so many times before. The hidden agenda is real. They are a clear and present danger to our country and its values. Oh come on, Brexit is proceeding well. The UK Gov't is stockpiling food supplies and drugs; even buying refrigerators for the insulin. What could go wrong? I sometimes get the feeling that the UK Con Leavers are much crazier than Doug Ford on his worst day. Perhaps they live in Narnia? Agreed. And their Narnia is the opposition benches, from where they dream of "taking over". Let's hope it doesn't happen! About ten years ago Marci McDonald wrote a famous article about exposing the growing power of the so-called theocons under.Stephen Harper. But the media never took her warning seriously and the religious fanatics were able to flourish and grow. In the U.S. they are now Trump’s most loyal supporters, but in this country we’re supposed to believe that they don’t even exist. Hallelujah! Anybody care to ask Andy if he would have been whistling "Dixie" to support the Confederate side in 1860? I'd like to get his read on other separatist movements (Palestine, anyone?) but obviously his black heart only belongs to white nationalism. "Keep calm and put your white hood on." The right believes the goverment is useless, worthless and not to be trusted. So why then are they always leading the charge to abolish or ignore the Charter of Rights? It proves they have no intellectual arguments for their beliefs. 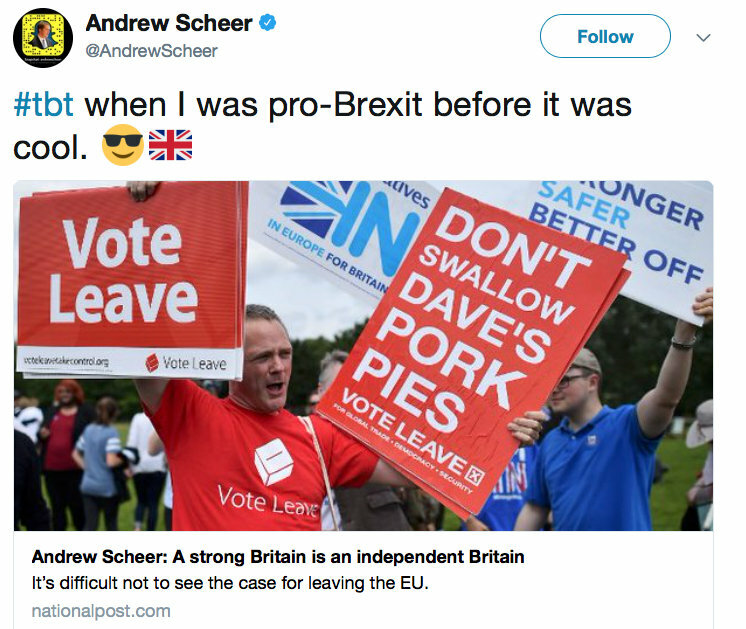 Scheer's support for Brexit labels him as a federalist imposter who does not believe in the mutual benefits and basic principles of federalism such as common standards including basic human rights,and the free movement of people and goods across borders. Like the oily messiah his warped view of a democracy seems to revolve around a winner takes all mentality, if you can gain a majority of seats then you should be free to impose the wishes of your base on all of society even if it is to their detriment. Perhaps he should ask a few failed democracies how this approach works out in the long run. Often, even the favorite authoritarian solutions of imposing punitive rule of law and military might cannot put Humpty Dumpty together again. we may have Kenny and Scheeer carrying on like a couple of cheer leaders for the exit, but really who in Canada and G.B. really listen. They may read about their comments on pro exit media, but really in Canada, neither of them carry much weight at this time. Now, it might be interesting to ask these two economic disasters in waiting if they want to leave the new NAFTA should they come to office. If they are so keen to have G.B. leave the E.U. what are their plans for Canada. We do remember Scheer's mumblings during the negotiations, which were duly ignored. May most likely will go down in the up coming vote and from there, it will be another election, with most likely mr charm and personality becoming P.M. Now from my reading of the exit deal, no wonder some of the cabinet in G.B. are upset. It still chains them to the E.U. The E.U. CHAINS G.B. to the E.U. when it comes to specific things. Like a labour P.M. would not be able to re nationalize the railway. a new P.M. might be prevented from building thousands of new units of affordable government owned housing. 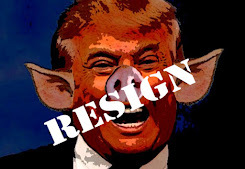 If they want to exit, the deal doesn't give it to them. so I expect the deal to be voted down and an election called. there is enough income inequity in England right now, that a Labour government might come into office. Does Britain really care what our MBPM(Make Believe Prime Minister) Scheer has to say about Brexit? I doubt it. 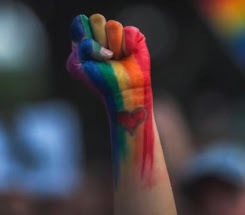 What it does show is how giddy Andy and his ilk get when an outcome can severely impact immigration and as you say Simon, the basic rights of the LGBT population. Instead of focusing on the harm it will do to their economy, Andy is using sovereignty as an excuse to trample on the rights of people who he and his religious zealots see as an abomination. 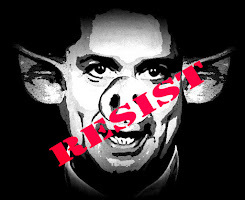 In reality, the true abomination here is Andy and his "heavenly hypocrites" who preach "love and understanding" for all while vilifying those who need it most. 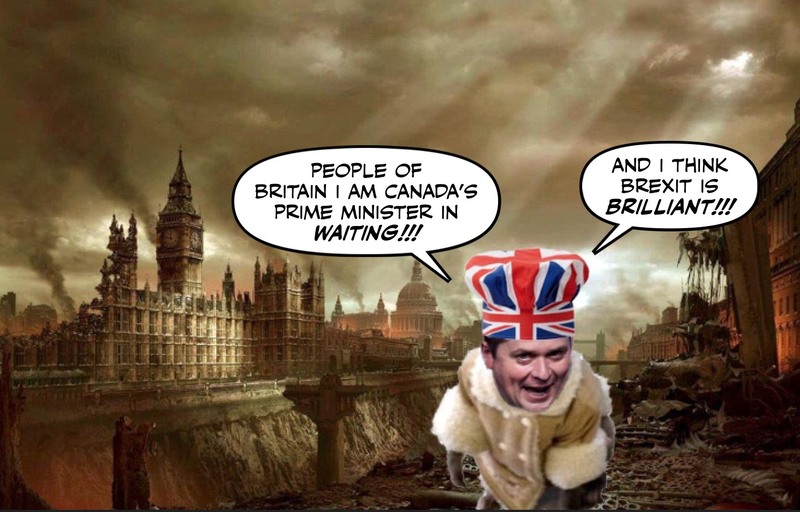 Does Britain really care what our MBPM(Make Believe Prime Minister) Scheer has to say about Brexit? Oh course not. He is just playing to his Conservative base here. "I am a statesman!" 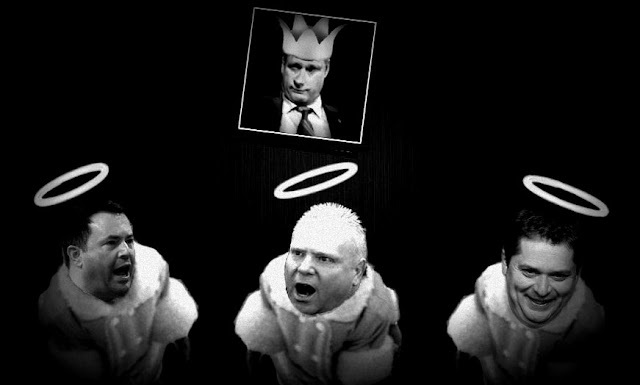 Is Doug Ford's Government Already Falling Apart?